Brian was manager at the time of his single appearance for Diamonds. At 44, he remains the oldest player to feature in a first team game – a record that is unlikely to be broken. The wet and muddy conditions were probably not ideal for a run out. Brian had started his career at Ipswich Town, making some 227 appearances between 1972 and 1979, winning the FA Cup in 1978. He moved to Arsenal in January 1979 for a fee of £450,000, where he became a stalwart in the midfield role. He played 327 games for the Gunners, scoring 49 goals and also made five appearances for England. He left Arsenal in June 1985, and went on to play for Watford, Stoke City, West Bromwich Albion, Fulham and Aldershot. While at WBA, he served as a player manager from November 1988 but following defeat in the FA Cup against non-league Woking, he was forced out in January 1991. He then spent ten months in charge at Aldershot (again as player-manager), before moving to Malta where he managed Hibernians – the side winning the Maltese League in 1993 & 1994. 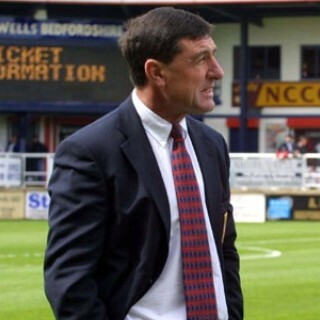 He arrived at Nene Park in February 1997, initially as an assistant coach to Roger Ashby but within a week, he had been installed as manager, with Ashby becoming Director of Football. He resigned as manager on 10 March 2004, having won Diamonds promotion to the Football League, and then Division 2. 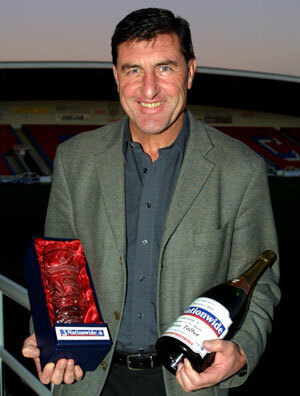 He became manager at Oldham Athletic after his departure, but resigned in March 2005 before joining Oxford United in May. After a poor season in which they were eventually to lose their League status, Brian was sacked in March 2006. He returned to Malta, where he took Marsaxlokk to the League title in 2007. He remained with the club as Technical Director, as well as taking on scouting duties for Fulham. In 2017 he became Assistant Director of Football Operations and Chief Scout for Fulham.